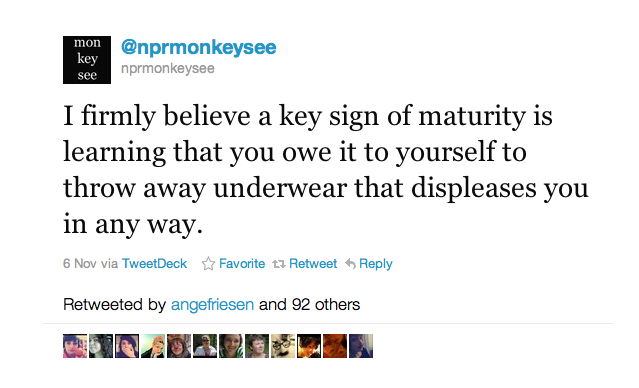 Perhaps as evidenced by the enthusiastic 93 retweets, this is a very convincing argument for maturity. How many of us have undergarments as old as our high school diploma? How about those persistent ones we frown at every time we open that shiftless and chaotic drawer? I don’t have much advice for the men in this area, although, like all many men necessities (undershirts, socks, white keds), it does seem that you guys can stumble into any old big box store and find some well made undies in classic designs. For us girls, my remarkably picky friends say you can’t go wrong with the soft lace and festively colored options of Hanky Panky. And the effusive reviews, coupled with a personal tip from a friend, say this little lacy bralette at Urban Outfitters is cozy and looks great in just the right places. 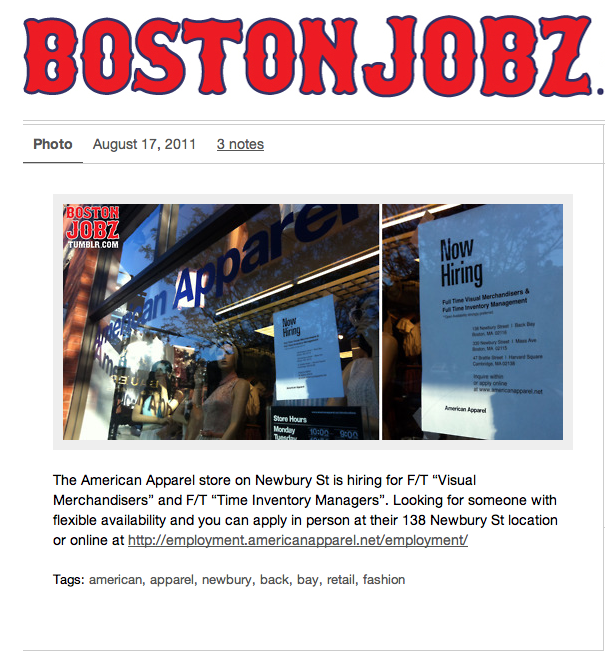 BostonJobz twitter and tumblr tweet photos of businesses that are hiring around Boston. As the telltale Z might indicate, it’s all about the speedy cellphone photo and the gritty upload. And I love it. 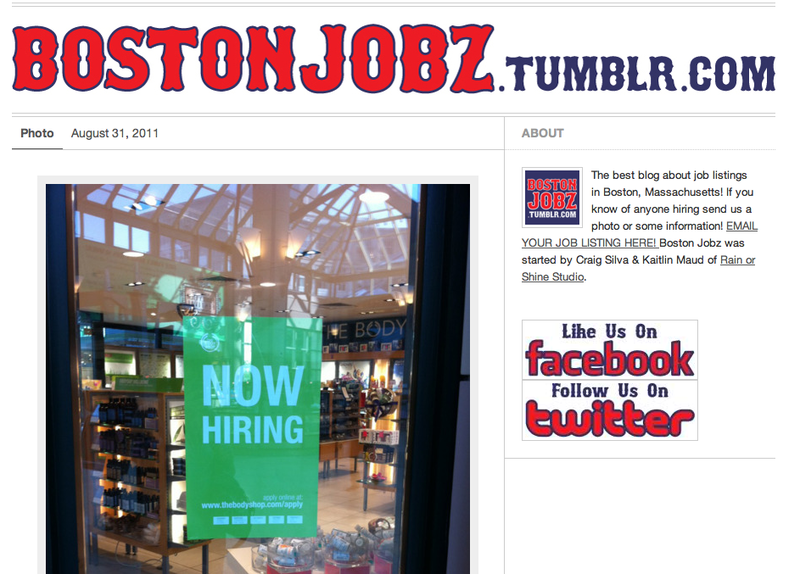 From the jumbo Red Sox font to the “Good luck!” at the end of most posts, it’s cheerful, quick, and gets to the point. If you scan job hunting sites for too long it can be hard to see straight, and many of them leave your basic neighborhood jobs off completely. This is like having a super thoughtful friend who’s all around town, letting you know who’s hiring.